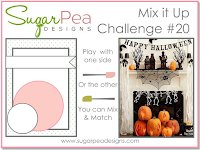 Time for the next SugarPea Designs Mix it Up Challenge! 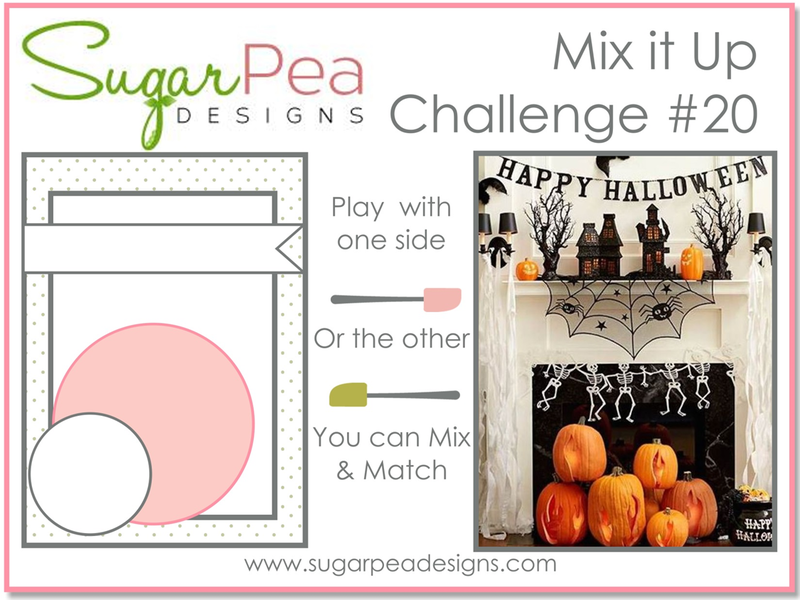 Here's our challenge graphic - you can choose the sketch or the inspiration photo or both! Love this Ardyth! So perfectly CAS and CUTE! Love how everything is black and white except for the POP of the jack-o-lantern — fun!